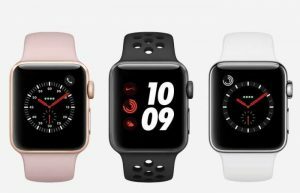 The Apple Watch Series 3 is Apple’s first smartwatch to have 4G connectivity. Compare the options for buying it in the UK. 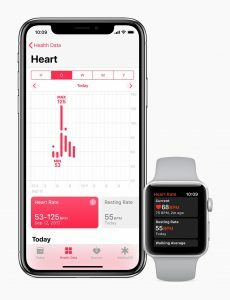 The Apple Watch Series 3 is Apple’s first smartwatch to have 4G mobile connectivity. Unlike previous Apple watches which only had Bluetooth connectivity, the 4G connectivity on the Series 3 Apple Watch means you can stay connected even without having your smartphone nearby. This is useful, for instance, when you’re out exercising: you’ll be able to make and receive phone calls without having to bring your smartphone with you. In the UK, the Apple Watch Series 3 with 4G connectivity is available exclusively to customers on EE. To use an Apple Watch on 4G, your iPhone will also need to be on the EE mobile network. 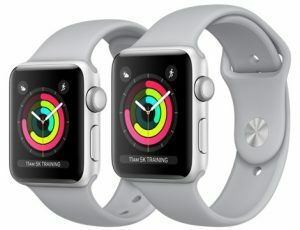 Connectivity: The Apple Watch Series 3 is available with either “GPS” or “GPS plus 4G” connectivity (the latter is sometimes also referred to as having “GPS plus cellular” connectivity). Only the “GPS plus 4G” version will give you connectivity without you needing to have your iPhone nearby. Case Material: You’ll need to decide whether you want to buy the aluminium Apple Watch, the aluminium Apple Watch Nike+ or the stainless steel Apple Watch. There are also a number of more expensive designer editions. Case Size: The Apple Watch is available in either a 38mm or 42mm case. In the following section, we’ll discuss each of these choices in more detail. The Apple Watch with GPS & 4G allows you to stay connected even without having your iPhone nearby. For the first time, the Apple Watch Series 3 can be purchased with 4G connectivity. 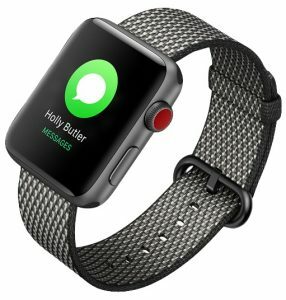 This is in addition to having Bluetooth connectivity which has been available on all Apple Watch models in the past (along with GPS and Wi-Fi which are also standard features of the Apple Watch). The new “GPS plus 4G” version allows you to use your Apple Watch even when you don’t have your iPhone nearby. You can make and receive phone calls using your normal phone number, along with sending text messages and using other apps on your watch. The addition of standalone 4G connectivity is a boon to anyone exercising with their watch (as it’s now no longer required to always bring your iPhone with you). The new “GPS plus 4G” version starts from £399 when purchased on it’s own. Alternatively, it’s also available on contract from EE for £25/month. The “GPS plus 4G” version will only work on EE in the UK (you’ll need an iPhone on an EE Pay Monthly or SIM Only plan). 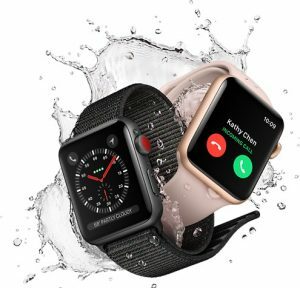 It will not work on any other mobile network, as other networks lack the capability to support 4G on the watch (including the ability for route phone calls to both your iPhone and Apple Watch at the same time). The “GPS only” version is available from £329 and will not work unless you have an iPhone nearby. 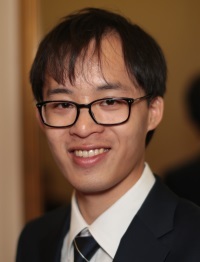 It will work with compatible iPhones regardless of which mobile network you use (as it uses Bluetooth rather than the 4G mobile network to connect to your iPhone). From left to right: Apple Watch Aluminium, Apple Watch Nike+ Aluminium and Apple Watch Stainless Steel. The Apple Watch Nike+ is fairly similar to the normal Apple Watch. The key differences are you’ll get some exclusive Nike-designed watch faces, and you’ll also have easy access to the Nike+ Run Club application. There are also two designer versions of the Apple Watch available: the Apple Watch Hermès and the Apple Watch Edition. These designer editions start from £1,299 so are closer to being “luxury” devices rather than being mainstream devices. The 42mm version has a slightly large screen. Finally, all of the different designs of the Apple Watch are available in 38mm and 42mm versions. This size refers to the height of the case, with the 42mm model obviously having a slightly larger screen with more pixels. It also has a slightly larger battery so should give you a little longer usage from one charge. The key thing to consider when choosing between the 38mm and 42mm versions is how the watch will look when worn on your wrist. You can download the Apple Store application to virtually try on the watches for size (in the Apple Watch section, scroll down to ‘Compare case sizes’ to preview the cases at actual size). You should expect to pay around £30 extra to upgrade from the 38mm to 42mm version. Unfortunately, it’s not possible to use the Apple Watch with any other handset, including Android-based smartphones like the Samsung Galaxy. The Apple Watch Aluminium is available in Silver, Gold and Space Grey whilst the Apple Watch Nike+ is available in Silver and Space Grey. Your Apple Watch will share the minutes and texts allowance from your normal phone plan on EE. 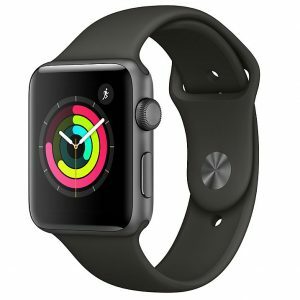 Once you’ve purchased a standalone Apple Watch Series 3 with GPS and 4G, you can buy a 30-day smartwatch plan from EE. You’ll pay £5/month for up to 10GB of data, with the first 6 months of usage for free. The plan can be purchased through the Apple Watch app on your iPhone. There is no need to insert a physical SIM card into the watch, as the Apple Watch Series 3 has a virtual SIM card inside. For more information about the Apple Watch Series 3, please see either the Apple or EE websites.